The Drifter is a versatile, low cost, environmental monitoring buoy designed by NASA's Applied Science & Technology Project Office at Stennis Space Center to enable public participation in NASA's scientific research. Drifters measure parameters such as water temperature and salinity. This in-situ data helps refine data collected by NASA satellites and aircraft and improve the accuracy of NASA models and forecasts. A Drifter can easily be assembled and operated by high school students. 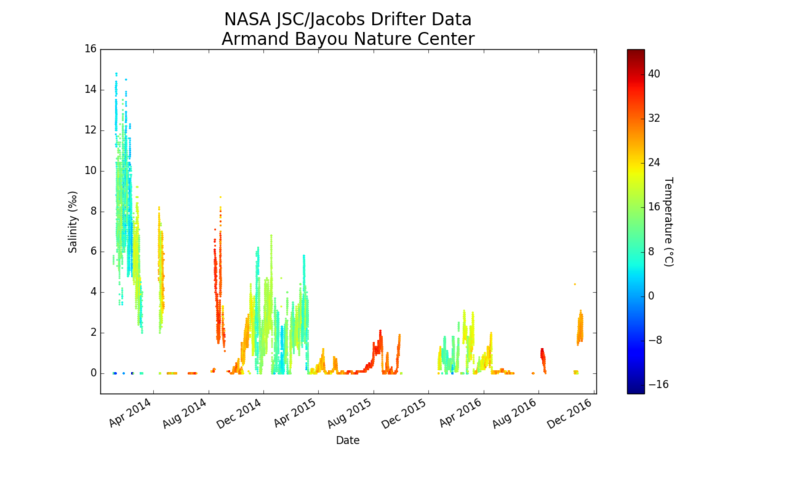 The map below shows recent collections from the Drifter system in the Armond Bayou.